Click "Add Content" where you wish to add the video. Copy the url of the video you wish to add. 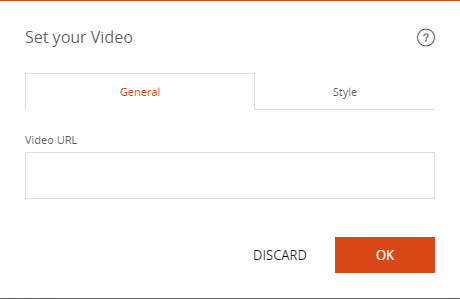 In the "Video url" field, paste the URL of the video. 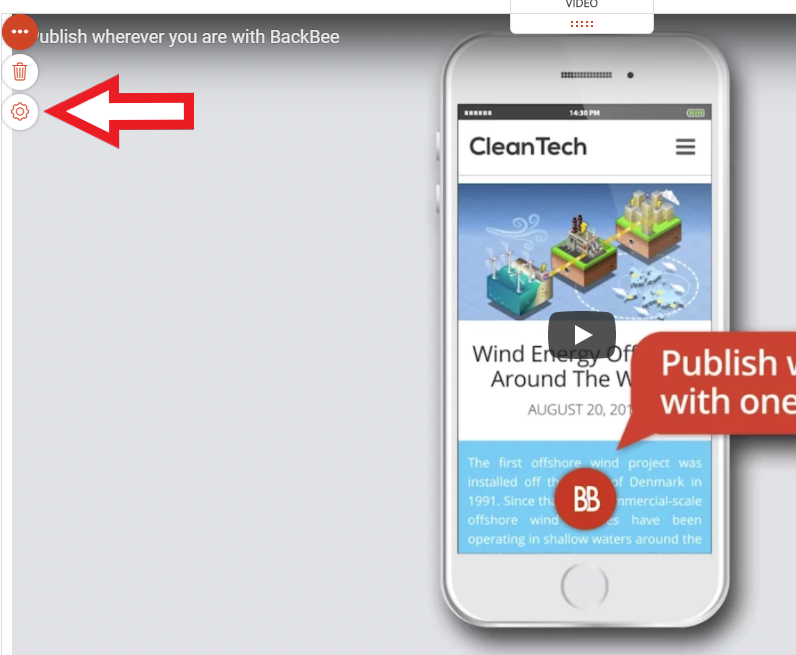 The video is displayed on the page. 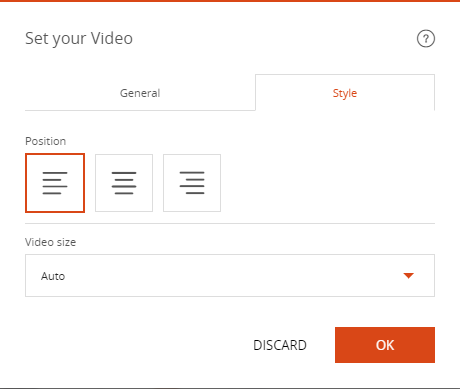 Click on the settings icon of the parameters in the top left of the video block.